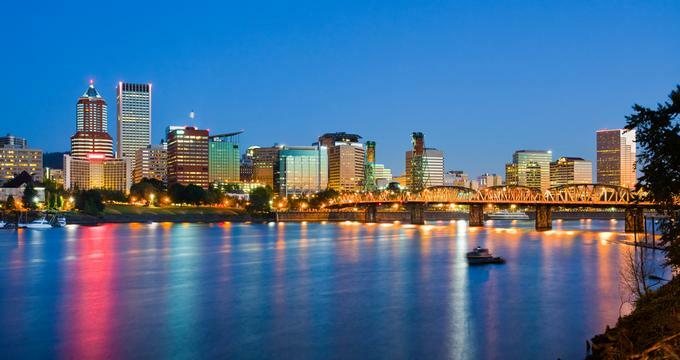 Plan a romantic trip to Portland, Oregon where you can enjoy stunning views, great Sushi, dog-friendly and other restaurants, breakfast spots, nightlife, free attractions, beautiful wedding venues, coffee shops, music and some of the most beautiful gardens in the U.S. 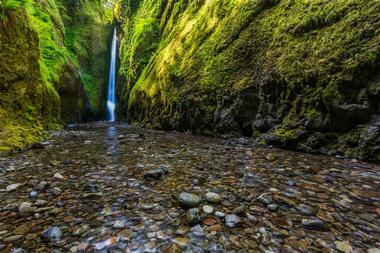 Here are the romantic things to do in Portland, Oregon. If you are traveling with children, be sure to read Best Things to Do in Portland with Kids. Built in 1914 for one of Portland’s most influential families, Pittock Mansion is an exquisitely preserved colonial-style mansion that provides insight into the history of Portland and how it became the city it is today. 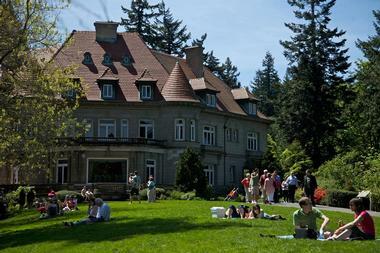 The Pittock Mansion was originally the home of Portland pioneers Henry and Georgiana Pittock, whose lives paralleled the growth of Portland from a tiny Northwest town to a thriving city. The home’s unique architectural design, richly decorated interiors, and vast collection of family artifacts stand testament to the family’s contributions to the development of Portland. If you are looking for unique things to do in Portland, Oregon, the Pittock Mansion offers a rare view into the lives of Portland’s early inhabitants. Guests can walk through the house and learn about what life was like during the early 1900s, then enjoy a picnic in the beautifully landscaped gardens and take in the breathtaking city vistas. Founded in the early 1960s by the Japanese Garden Society of Oregon, the Portland Japanese Garden was created to promote and preserve a more intimate relationship between the people of Japan and those of Portland. The garden also aims to educate visitors about the vegetation and the culture of Japan through beautiful display gardens and architectural features as well as cultural, environmental, horticultural, and charitable activities. The Garden is composed of five distinct garden styles spread over 5.5 acres: the Flat Garden, the Strolling Garden, the Tea Garden, the Natural Garden, and the Sand and Stone Garden. 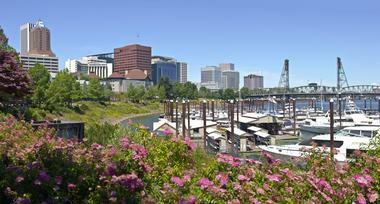 If you are wondering what to do in Portland, Oregon on a sunny day, this is a great place to visit. All of the gardens boast a deep sense of tranquility and reflect the ideals of peace and harmony that are so prevalent in Japan’s history and traditional culture. 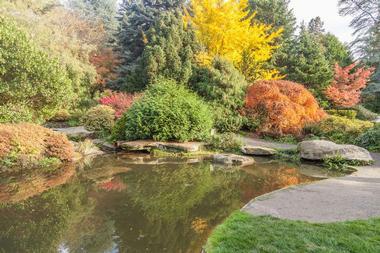 This hidden gem is one of the best romantic attractions in Portland. 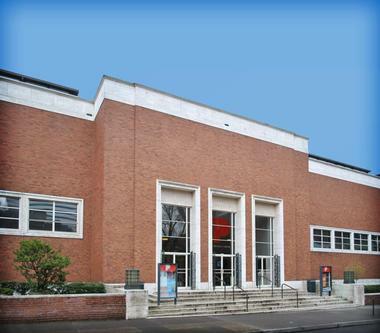 Founded in 1892 with the aim of providing Portland’s citizens with a first-class museum of local and internationally renowned artworks, the Portland Art Museum is the oldest art museum in the Pacific Northwest and one of the oldest in the United States. The museum is home to an impressive collection of over 42,000 objects reflecting the history of art from ancient times to the present. The works on display include Asian and American art, modern and contemporary art, prints, drawings, photographs, and an exquisite English silver display. Forming the cornerstone of Portland’s cultural district, the museum includes the recently renovated, modernist-style Belluschi Building and the historic Mark Building. The two buildings are connected by a subterranean gallery and an outdoor sculpture court. 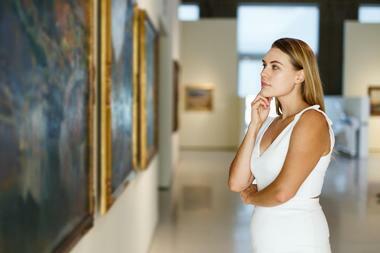 The museum offers free public tours daily, and patrons can reserve private group tours in advance. Operated by the Bosco-Milligan Foundation, the Architectural Heritage Center is dedicated to the conservation of the architecture, history and heritage of the greater Portland area. Home to one of the largest collections of architectural artifacts in the United States, the Center boasts a world-class research library and hosts a variety of exhibits, tours, programs and presentations throughout the year. These features focus on the appreciation and preservation of historic and landmark buildings and “vernacular” homes, as well as cultural neighborhoods and traditional commercial areas. Visitors to Portland can enjoy a number of Center-led walking tours, such as the Old House Revival Tour and the Heritage Homes tour, where knowledgeable professionals lead informative and interactive tours through historic neighborhoods around the city. The Architectural Heritage Center also features educational programs and monthly exhibits by local and international artists. 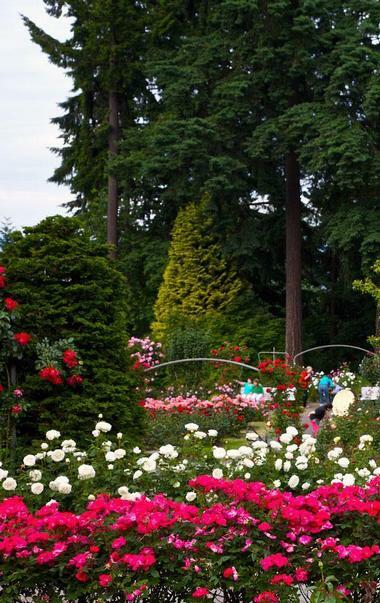 The International Rose Test Garden is all about roses and is the perfect romantic spot for couples. Established by the Portland Rose Society in 1889, this immaculately landscaped garden is brimming with all varieties of rose. Through the Test Garden, the Rose Society aims to educate visitors and encourage them to learn about roses while enjoying the magnificent surroundings. The garden features a number of displays to explore and enjoy: the Royal Rosarian Garden features roses named for every past Prime Minister of the Royal Rosarians; the Miniature Rose Garden is one of only six testing grounds for the American Rose Society (ARS) miniature rose test program and contains award-winning varietals. The gardens have received a number of awards over the years, including the Garden of Excellence Award from the World Federation of Rose Societies, and is credited with having “Portland’s Best Roses.” Botanists and rose experts offer free public tours. You are sure to have an authentic Italian dining experience at the high-end eatery, Ava Gene’s, in Portland. Their Roman-inspired menu offers traditional dishes – such as the fritti or the shrimp linguine – all made with the best local produce and meats, grown and raised by farmers and ranchers in the Pacific Northwest. Ava Gene’s also boasts an impressive regional Italian wine list, as well as grappa and amari. Stumptown Coffee founder, Duane Sorenson, opened this amazing restaurant in 2012 with partner and Executive Chef, Joshua McFadden. 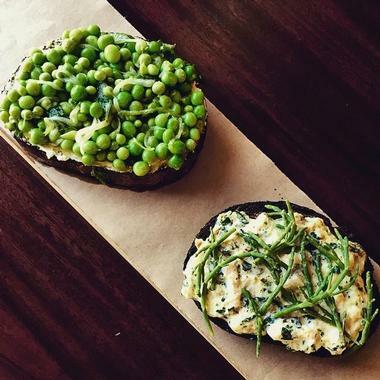 If you are looking for date ideas in Portland, enjoy a fabulous night at the simple, rustic Ava Gene’s on Southeast Division Street. Explore Portland and experience the city the way many of the locals do - on two wheels. Pedal Bike Tours offers a unique, easy-going and fun way to see the city and its best attractions. Local guides lead the bike tours to various parts of the city, visiting favorite sights and attractions and sharing their knowledge and passion for Portland. Discover hidden gems and famous landmarks, and head off the beaten path to learn more about the intriguing history of the City of Roses. Tours travel through Portland’s Historic Downtown area, the magnificent Colombia Gorge, or along the Oregon Brewery Trail where visitors get to taste craft beer along the way. Fun-filled Food Cart or Winelands Tours promise plenty to eat and drink, and Oregon Coastal Tours boast breathtaking ocean landscapes and beautiful vistas. Pedal Bike Tours also offers bike rentals for self-guided tours as well as bike repairs. Enjoy a unique, creative fine dining experience at Portland’s Holdfast, which opened in February 2015. The restaurant is located in the former Sauvage space in urban winery, Fausse Piste, in Southeast Portland. Well-traveled, well-experienced chefs, Will Preisch and Joel Stocks, make their own rules, serving a predictably unpredictable dinner menu. The duo serve as your chefs, waiters, and bartenders in an intimate, yet relaxed setting. Dining there is by reservation only. Making a donut that stands out among many, many great, funky, and interesting donuts available in Portland is quite a challenge. Instead of going for shocking shapes and wild colors, the owners of Blue Star Donuts opted for interesting dough – fluffy, delicious French brioche dough – similar to the traditional yeast donuts. 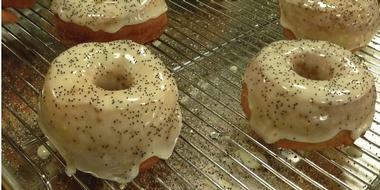 They make their donuts with local ingredients, working in collaboration with their neighbors. They use organic fruits for their fillings and glazes, and the result is a perfect, mouth-watering bite bursting with flavor. The number of varieties grows by the day and you will be sorely tempted to try them all. Blue Star today has seven shops all over the world, including in Japan. Their four Portland shops are spacious, clean, and bright and offer just the right kind of coffee to go with your donuts. 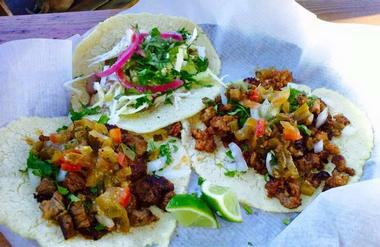 Located in the heart of Portland’s Southeast Woodstock neighborhood, El Gallo Taqueria has recently transformed from a charming food truck into a hip, brick-and-mortar restaurant. Although the restaurant has a new menu to go along with its new look, diners can still enjoy favorites like their tacos, burritos, and the absolutely delicious Nevada Tostada. All dishes are made with high quality, locally-sourced, sustainable ingredients. Don’t miss their “Melt Your Face” salsa. Chef and owner, Jake Brown, first opened the taco truck in the Woodstock district in 2009 has spent years traveling through Mexico, refining his techniques and recipes. Based in the Arlene Schnitzer Concert Hall in Portland’s Cultural District, the Oregon Symphony was established in 1896 and is the sixth oldest orchestra in the United States. Founded as the Portland Symphony Society, the orchestra has 76 full-time musicians and sees more than 225,000 patrons each year. Over the course of its successful hundred-year history, the orchestra has seen a number of internationally acclaimed music directors and guest conductors - including the likes of Aaron Copland, Maurice Ravel, and Igor Stravinsky - as well as many outstanding performers. The Oregon Symphony continues to perform diverse programs and a variety of community services. Upcoming performances include the National Circus and Acrobats of the People's Republic of China, Pablo Villegas, and The Music of Pink Floyd. If you are wondering what to do in Portland in the evening, watch a performance by the Oregon Symphony. 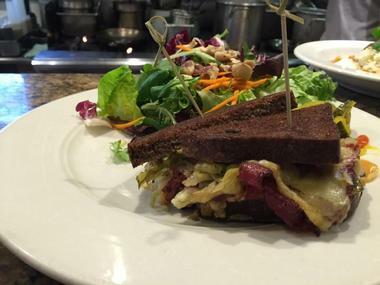 Couples can enjoy amazing, flavorful vegetable dishes at Veggie Grill in Portland. Stop in and try one of their signature dishes – like “The Stack” or “Santa Fe Crispy Chickin”. There are also seasonal specials, like the Sonoran Summer Bowl. Don’t miss their Sweetheart Fries and carrot cake! 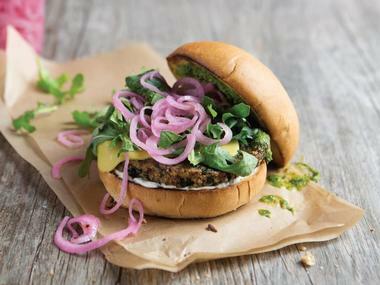 The Veggie Grill chain originally started in Irvine, California back in 2007 and has expanded nationally since. It was founded by a couple of carnivore-turned-herbivore friends, Kevin Boylan and T.K. Pillan. You can find Veggie Trill either on Southwest Taylor Street in downtown Portland, or on Southwest Cedar Hills Boulevard in Beaverton. One of the best places serving Indian street food in Portland is Bollywood Theater PDX, which strives to recreate a typical Mumbai eating experience. Enjoy vibrant Bollywood décor, while savoring incredible dishes, like Bhel Puri, and signature cocktails, like the Bollywood Shandy. Chef and owner, Troy MacLarty, brings his many Indian traveling experiences to his delicious dishes at the unique Bollywood Theater, which he opened in 2012. Bollywood Theater has two locations in Portland - one on Northeast Alberta and another on Southeast Division. Located in Hood River, Oregon and overlooking the Colombia River, Full Sail Brewing Company is a craft brewery that produces fully sustainable, artisanal bottled beers. 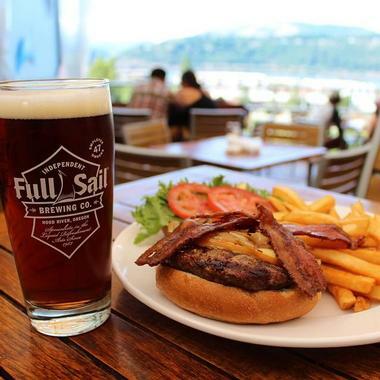 Founded in 1987, Full Sail was one of Oregon's early microbreweries and the first commercially successful craft brewery to bottle beer in the Pacific Northwest. First off the bottling line was Full Sail Golden Ale, followed by Full Sail Imperial Porter, Full Sail Amber Ale, and Wassail Winter Ale. The brewers of Full Sail pride themselves on running a fully sustainable business, using less than three gallons of water per gallon of beer produced (most other breweries use six to eight gallons), running the brew house on wind power, and using only organic and locally sourced “backyard” ingredients for their golden and dark beers. 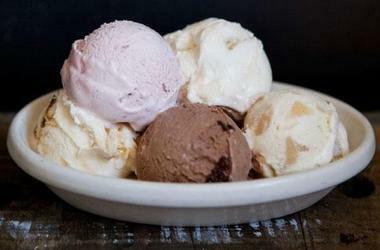 Portland’s Salt & Straw serves exotic-flavored, “farm-to-cone” gourmet bone marrow-based ice creams, which are made from locally-sourced ingredients, including the bone marrow. 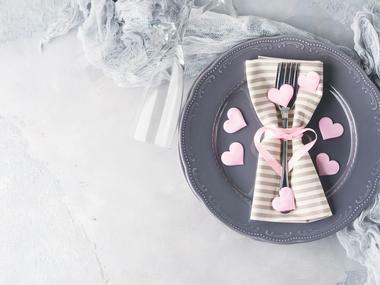 Ice cream connoisseurs will melt over their many delectable flavors, such as Honey Lavender, Pear and Blue Cheese, Melon and Prosciutto, or the Viking Soul Food’s Goat Milk and Lingonberries. Salt & Straw was created in 2014 by cousins, Kim & Tyler Malek. You can find Salt & Straw at three locations in Portland: on Northwest 23rd in the historic Esquire Building, on Southeast Division on Portland’s “Restaurant Row”, or on Northeast Alberta in Portland’s iconic Arts District. EverGreen Escapes is a tour company that provides a range of sightseeing tours and experiences in and around Portland with the aim of connecting people, places, and the environment. EverGreen Escapes offers personalized tours to fit every taste, from exploring the magnificent surrounding landscapes of the Columbia River Gorge, the regal Mt. Hood, and the legendary Mt. St. Helens, to exciting city and cultural adventures. 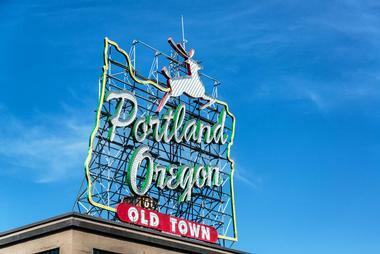 Explore Portland is a small, fun-filled group tour that explores the eclectic neighborhoods of Portland, visiting the famous Pearl District, the International Rose Test Garden, the Pittock Mansion, Washington Park, Mt. Tabor Park, Alberta Arts District, Historic Mississippi District, and Powell’s Bookstore. Columbia Gorge Wine & Waterfalls lets visitors discover the Pacific Northwest’s two greatest attractions-- the Columbia Gorge Waterfalls and the wines of Oregon-- with a wine-tasting, gorge-trekking adventure. Willamette Valley Wine Trail is a half-day tour that takes visitors into the heart of Willamette wine country to explore the countryside, meet the vintners and taste some of the region’s best vintages. 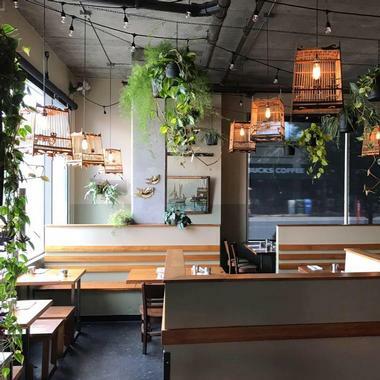 Higgins Restaurant and Bar has been serving Portland diners with classic, farm-to-table, country dishes – with an emphasis on its fresh, sustainable, locally-sourced, seasonal ingredients – since 1994. Stop in and try their chilled asparagus appetizer, the Spanish potaje, or the “Pepper Pot” seafood stew. Grab an almond tart for dessert. James Beard Award-winning Executive Chef, Greg Higgins, co-owns the joint with restaurant veteran, Paul Mallory, who manages the eatery. Higgins, an organic grower himself, says he serves fine cuisine in support of his premise that food is community. Higgins Restaurant and Bar is located on Southwest Broadway in downtown Portland. 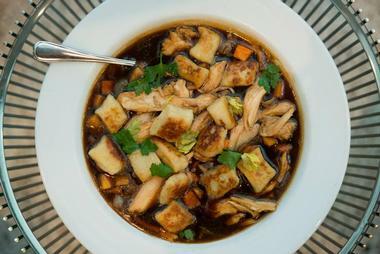 Paadee is a modern Thai restaurant that brings to Portland traditional comfort food from northern Thailand that is a heady mix of flavors – sweet, spicy, salty, and sour – that many of us may remember from trips to Chiang Mai. The decor is simple, with nice bamboo lanterns and a lot of hanging green plants and some traditional Thai art on the walls. The focus is on food, especially small shareable plates, the sort you can find on carts on the sidewalk in Thailand, hot and delicious. The best deal in Paadee is their happy hour and not only because of their delicious cocktails. During happy hour you can have six snacks and three dishes to choose from, enough for a meal and great for an idea of how comfort food should taste in northern Thailand. Upfor Gallery is a top Portland art gallery opened to the public in 2013, operated as part of the Portland Art Dealers Association, which strives to bring together the city's finest art galleries as part of monthly public events. The gallery is open to the public Tuesdays through Saturdays during the afternoon hours, with additional hours offered during art walks and other special events. Artists represented by the gallery include MSHR, Brenna Murphy, Morehshin Allahyari, Ronny Quevedo, and Srijon Chowdhury. Exhibitions rotate every few months, highlighting unique, socially-forward works by emerging and mid-career artists in the Portland area. The gallery also participates in art fairs throughout North America, including prominent events in Seattle, New York City, and Mexico City. 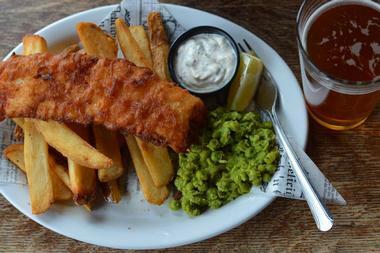 Toffee Club is a traditional English-style football pub in Southeast Portland, originally opened in 2016 by Niki Diamond, Jack Hoppins, and David Carbo. The laid-back pub strives to recreate authentic English pub culture and serves up a wide array of delicious bar food, including favorites such as Scotch eggs, pork pies, fish and chips, and bangers and mash. Charcuterie boards are also available at dinner, along with traditional British-style pies such as minced beef pies, steak and ale pies, and chicken and vegetable pies. On the weekends, a full breakfast menu is served until 1:00pm, offering up full English breakfasts alongside pie options filled with ingredients such as chorizo, mushrooms, eggs, and potatoes. A rotating draft list of craft and imported beers is offered, along with a full menu of cocktails and fine wines. Weekly special events include Wednesday trivia nights, Friday night dance parties, and indie pop DJ sets on Sundays. The Hoyt Arboretum is a living museum of trees and plants, where visitors can learn all about botany and the importance of trees and plants to the environment. Founded in 1928 with the aim of conserving endangered plant species and educating the community, the Hoyt Arboretum is a beautiful romantic place to visit in Portland OR. Spread across 189 acres, it contains miles of hiking trails. 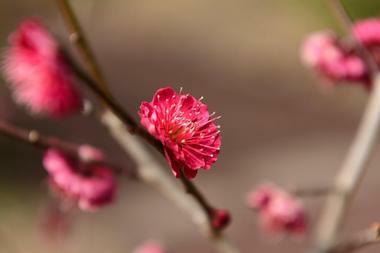 The Arboretum is home to more than 6,000 specimens from around the world, 63 of which are vulnerable or endangered. Located at the heart of the Arboretum is the Visitor’s Center, where guests can find maps, directions, information, and a research library with over 800 books, and get assistance from a friendly, helpful staff. As a living classroom for both students and teachers, Hoyt Arboretum offers a variety of programs, classes, and workshops for learning each year. If you are wondering what to do in Portland, Oregon on a sunny afternoon, this is a great place to visit.